Many free anti-virus applications do not offer real time protection, meaning you will have to react to viruses when they could already be on your systems. With a paid for solution, you can guarantee that your devices and data are protected 24 hours a day, 7 days a week. With tools like real time monitoring and active scanning, a paid for solution will keep you guarded from even the smallest threats. It is important that your confidential information remains protected and private. We can offer solutions and advice to help your data stay that way. With phishing and farming attacks becoming more and more popular and internet service providers monitoring your activity more closely it is important to stay informed and put measures in place to protect you. We can also discuss the benefits of encryption and how it can keep your data safe on portable devices such as USB sticks, external hard drives, laptops and mobile phones. 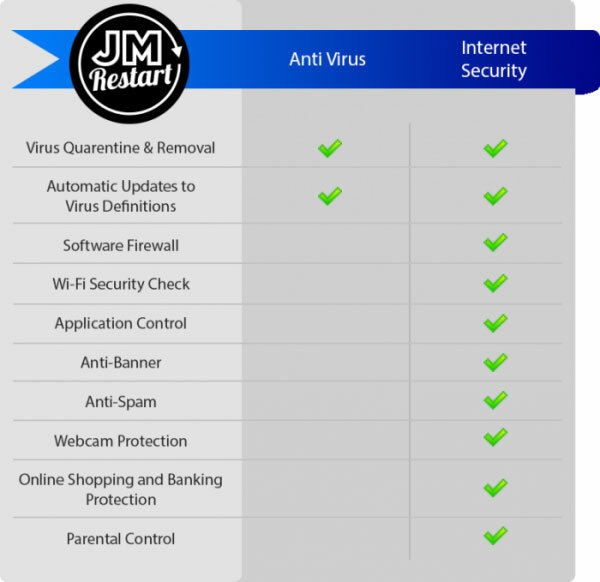 Your IT security matters to us at JM Restart! This is why we work with many security programmes to ensure your safety. Kaspersky Lab, Trend Micro, Symantec, Netgear and Draytek are all software we work with. 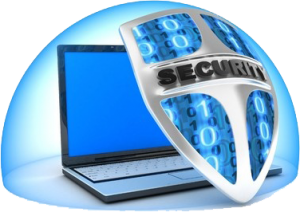 We will help to keep your IT systems secure, backed up and private. What is the difference between Antivirus Software and Internet Security Software? There are different types of this software so what is the difference? Firewalls offer an extra layer of protection that assure your systems stay safe and uncompromised. An example of these Internet Security Packages are offered by both Trend and Kaspersky. These security packages provide you with a Software Firewall that will monitor network traffic coming in and going out from your PC. We have also partnered up with Draytek to offer you Hardware Firewalls that will cover your entire network by filtering and stopping any unwanted traffic from reaching your devices. For optimum network security, we highly recommend utilising both a software firewall and hardware firewall. JM Restart have your best interests in mind. Consequently we will see that you and your network are protected with only the industries leading distributors of security software and hardware. Find out how JM Restart Limited could help with your IT Security. We discuss the differences between Antivirus and Internet Security software, firewalls and more! JM Restart can keep your IT secure!